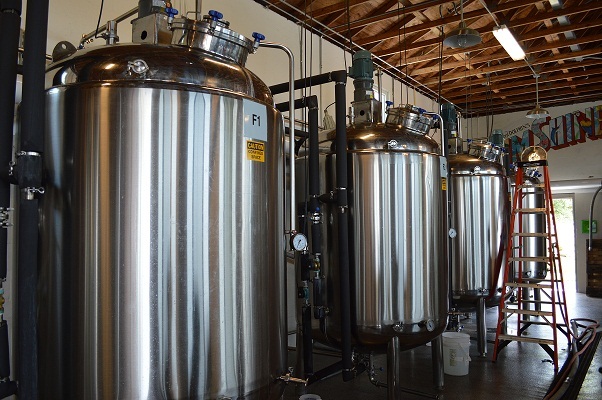 When I knew we were going to Florida this summer I tentatively googled for rum distilleries on the off chance they existed, and bam, there’s two on the Gulf coast – one an hour north, one an hour south of our rental villa. Yes, we’d seredipitously ended up midway between them. 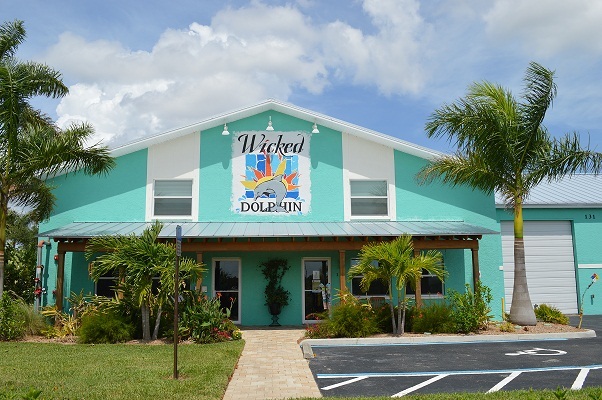 Wicked Dolphin is located in Cape Coral, only a few metres off the freeway, but the blue-coloured buiding and tropical trees and plants could easily have seen it dropped in from the Florida Keys or Caribbean. There was about 20 on our tour, one of four held on Tuesday, Thursday and Saturday afternoons, but were told numbers had been as high as 90 during peak tourist season. What pleases me about craft distilleries is people with a genuine interest in rum want to create a high-end product using traditional methods. 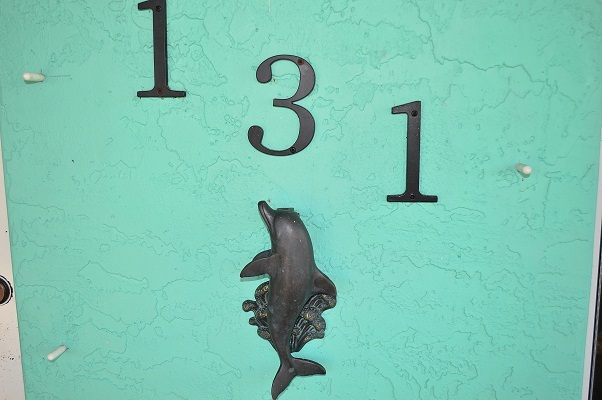 It’s a small operation at Wicked Dolphin, with a distilling team of three. The brand was actually cteated by a New Yorker who, unimpressed with commercial offerings of coconut rum, wanted to create her own. We weren’t able to taste her creation as apparently she snaps up everything that’s made, but currently marketed is the silver (white), spiced, and a throwback to the moonshine days with jars of 50% abv white rum toned down with fruits. 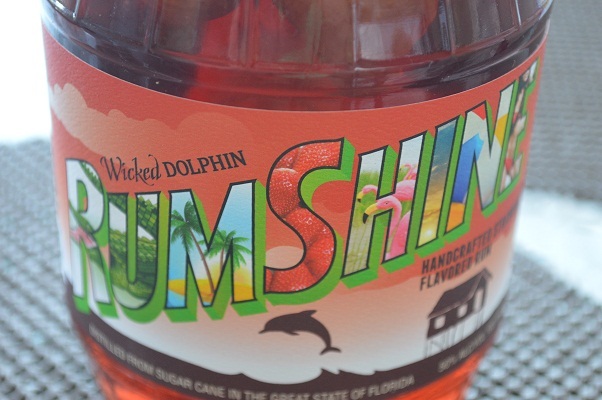 This ‘Rumshine’ comes in strawberry, blueberry and apple pie flavours and batch 1 had been launched just a few weeks before. 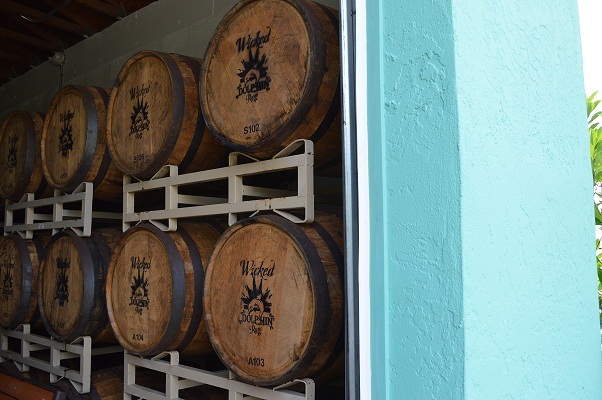 We were welcomed with a cold rum punch and given the background to the company and rum distilling process in the hot, hot warehouse room and taken through to the barrel room (also very hot). Apparently the Florida heat and humidity helps with the ageing process as the wood expands and contracts a bit more, releasing more flavour. 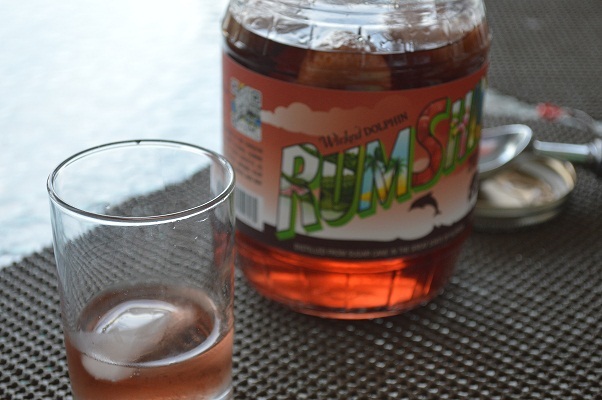 Back in the air-conditioned tasting room and gift shop we got to sample the white, spiced and apple pie Rumshine. With our limited customs allowance coming back to the UK, we purchased a spiced to bring home and a strawberry Moonshine for evening drinks back at the villa. 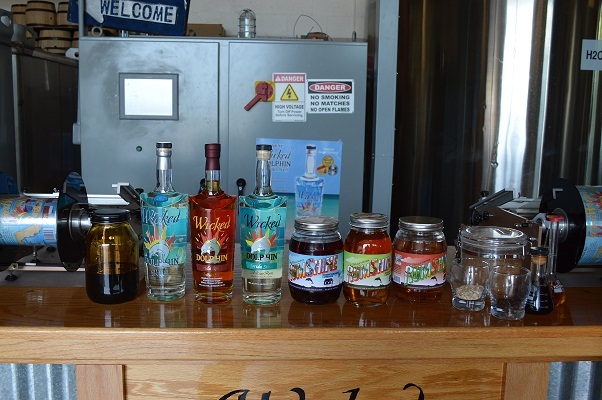 The Moonshine was great – the strawberries really made the high-abv base rum drinkable. Mixing it with strawberry kiwi soda or Snapple made it alarmingly ‘downable’. The rum-soaked strawberries left at the end had a huge kick of rumfire though!